I retired from regular employment & re-invented myself as an artist. 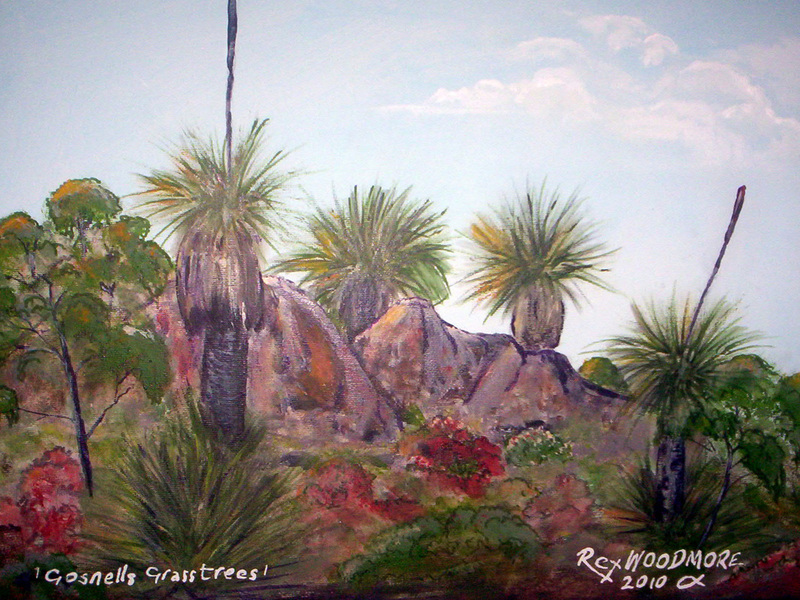 In preparation for retirement in 2008 I tried my hand at landscape painting. 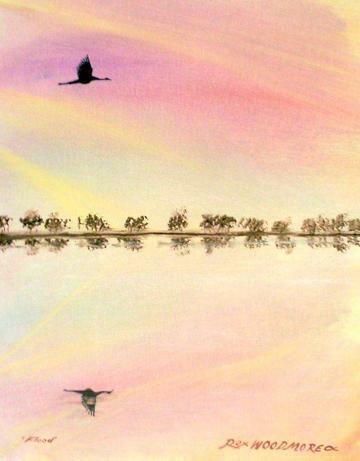 "Thank you to all the people taking an interest in my art and my writings. 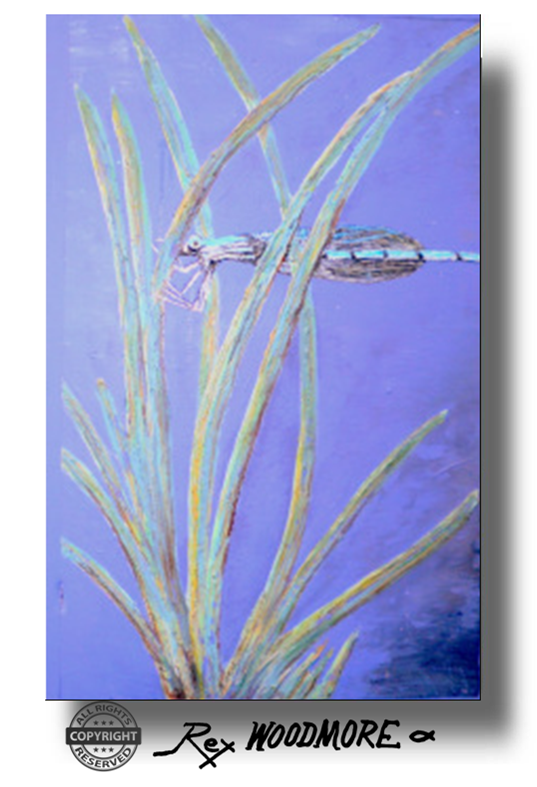 ​ Thanks also to my many clients with my paintings around the world". ​As a child, here in Western Australia, I lived on an orchard in Jarrahdale, with orange, apple, plum, peach, apricot, pear, fig, cherry & quince trees. 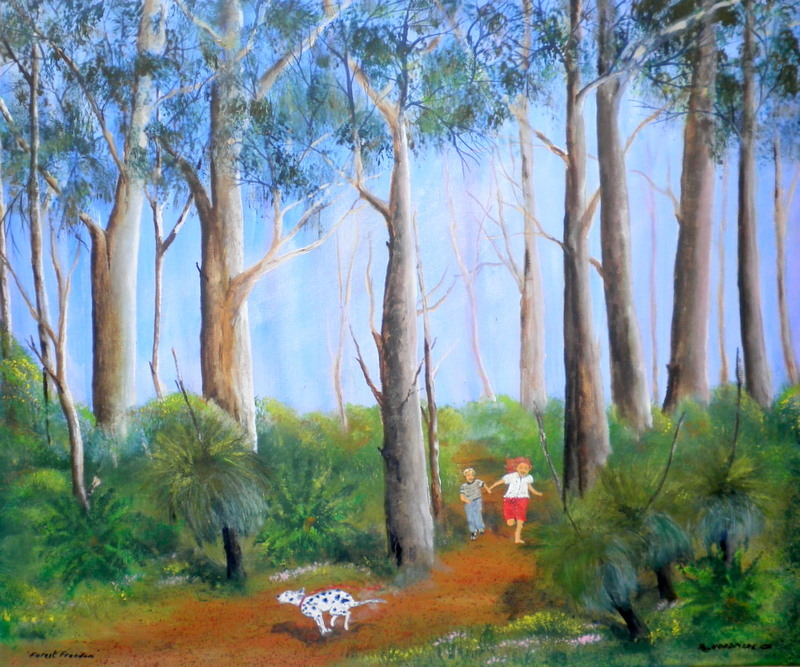 We were in the midst of the Forest surrounded by towering Jarrah trees with an under-story of Acacia & Banksia trees. Beneath that, with hardly an exotic weed to be seen, there was a miniature jungle of native flowers, creepers & ferns. I must have grown a 1,000 trees for every tree I felled. Much of my employment had involved trees, including as a team leader for the Mandurah Rail Link Grass tree (Xanthorrhoea species) project removing and transplanting 3,000 grass trees and 1,500 Zamia palms (Macrozamia reidlii). This project resulted in an amazing 90% success rate & made a fortune for the company (GHEMS). 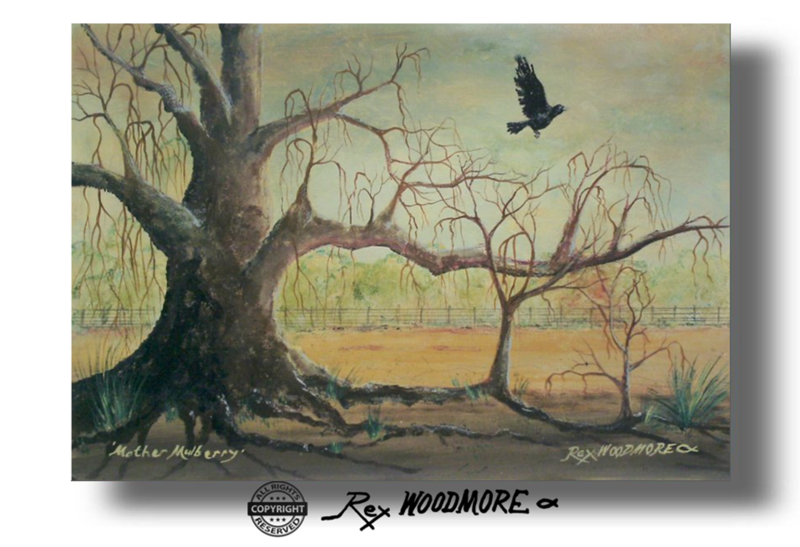 So with my passion for, and intimate knowledge of, trees and a name like WOODmore, trees seemed a logical choice of subject for my paintings. 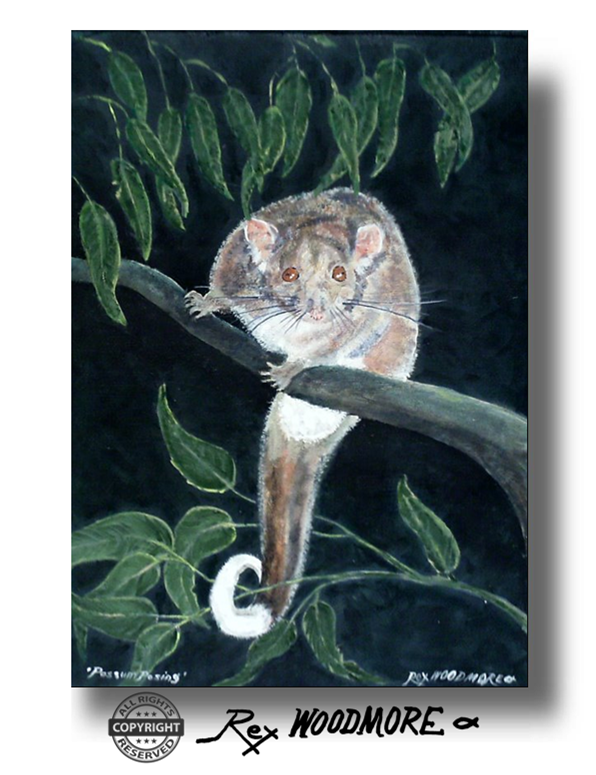 My only ‘brush’ with art before that, was when I was ten years old, pencil sketching orchids in the forest that surrounded our home in Jarrahdale. 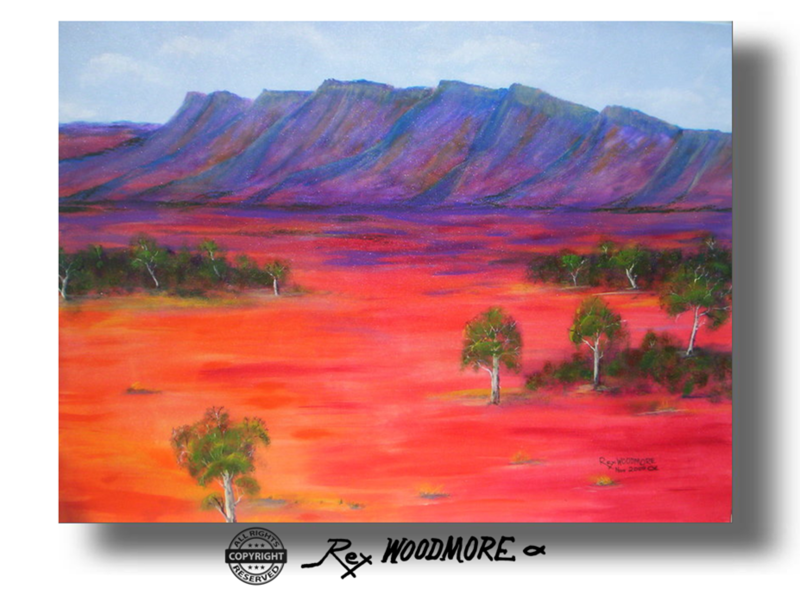 As an adult when I worked for a year at the Argyle Diamond mine in Western Australia, I was captivated by the beauty of the blue hills, Boab trees & termite mounds that grew from the rich soils surrounding the mine & accommodation village, where I was a supervisor and I tried my hand at capturing the magnificent scenery, with pastels on paper. JULY 11TH 2018 WHO WOULD HAVE THOUGHT? 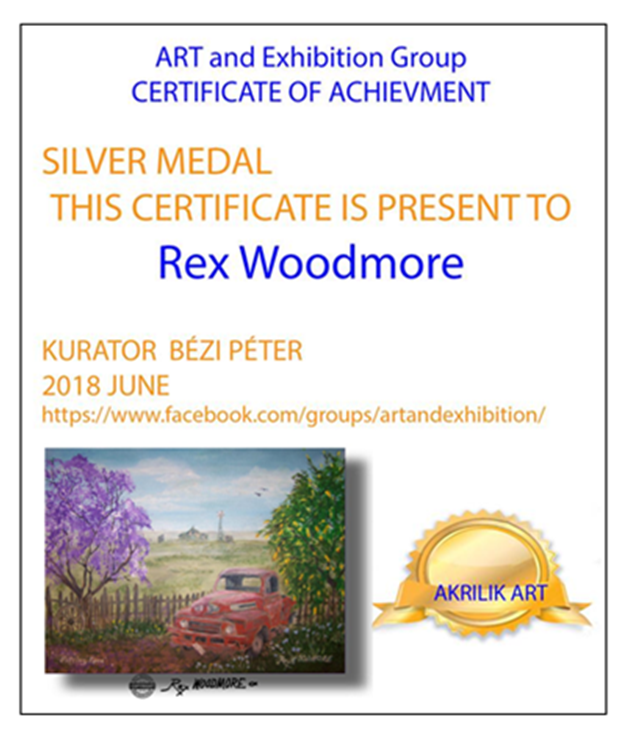 Budapest Hungary: Silver Medal to Rex Woodmore for his painting #Fifties Ford. 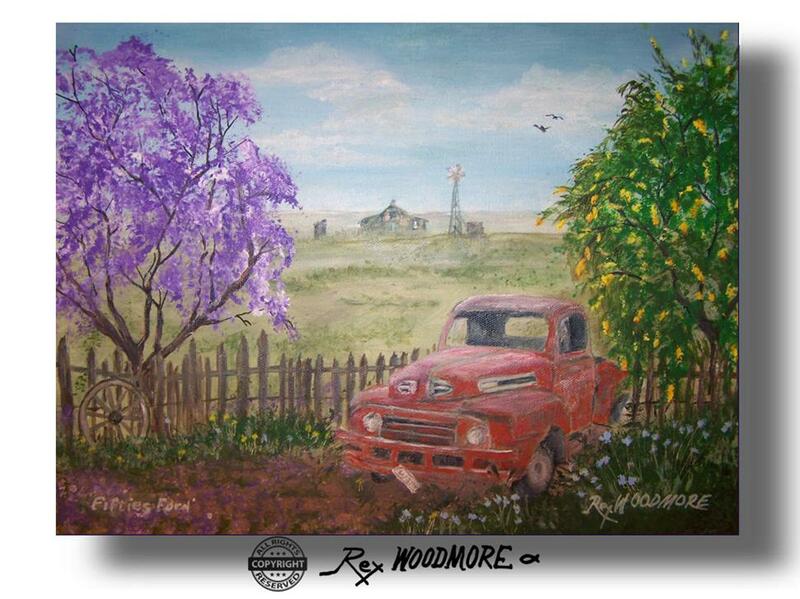 ​​​Who would have thought that this simple picture of an old truck & a Jacaranda tree 'Fifties Ford' would be appreciated by an art group based in Budapest, Hungary? ​I was the kid who never got a certificate at the school assembly. 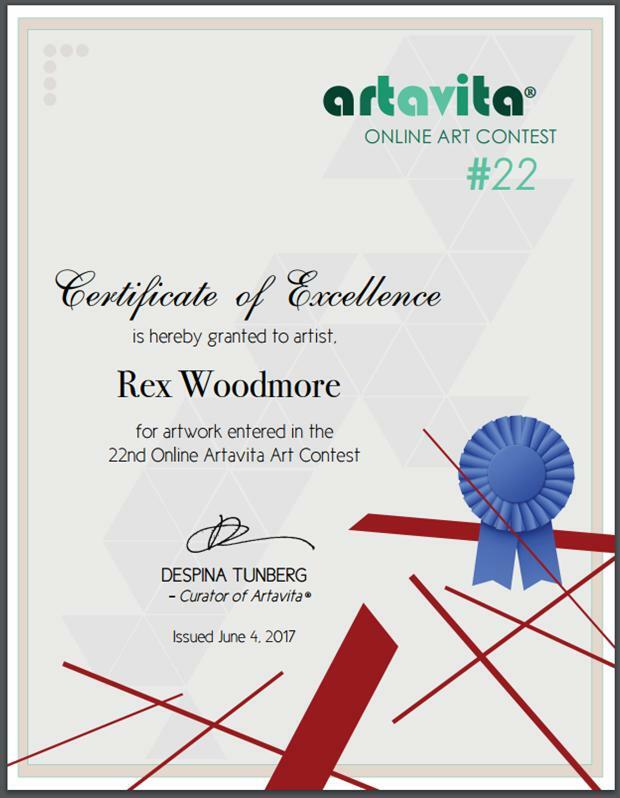 472 artists (including me) took part in a recent worldwide contest run by Artavita, Santa Barbara, California, USA. 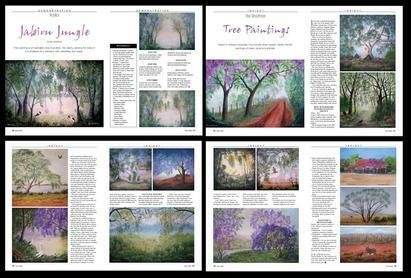 Artist’s Palette (An Australian magazine) 27th March 2017. ​When complimenting an artist people often say "You have a gift!" 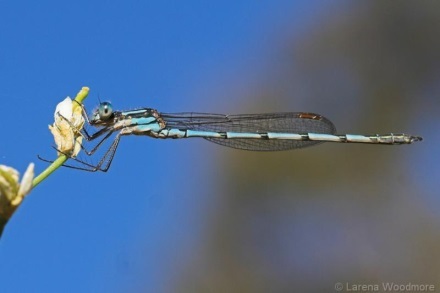 Pro Hart - Dragon Fly. I completed my first painting 'Damsel Day' in 2008. Self taught, I used House paint, Builder’s adhesive and Marking pens on stretched canvas. ​The treasure of a 1656 shipwreck almost cost me my life! 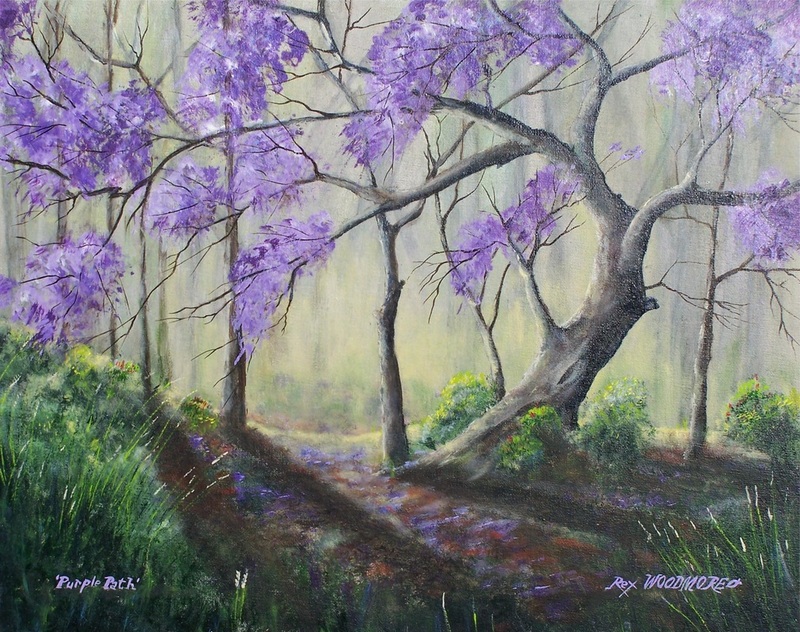 My Jacaranda Tree Paintings have proven to be very popular. 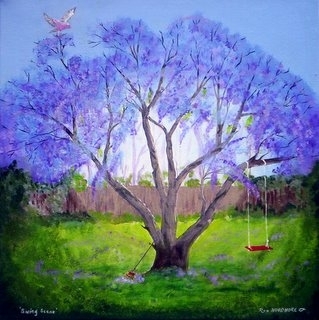 I am best known for my family friendly paintings of trees and Jacaranda trees in particular. 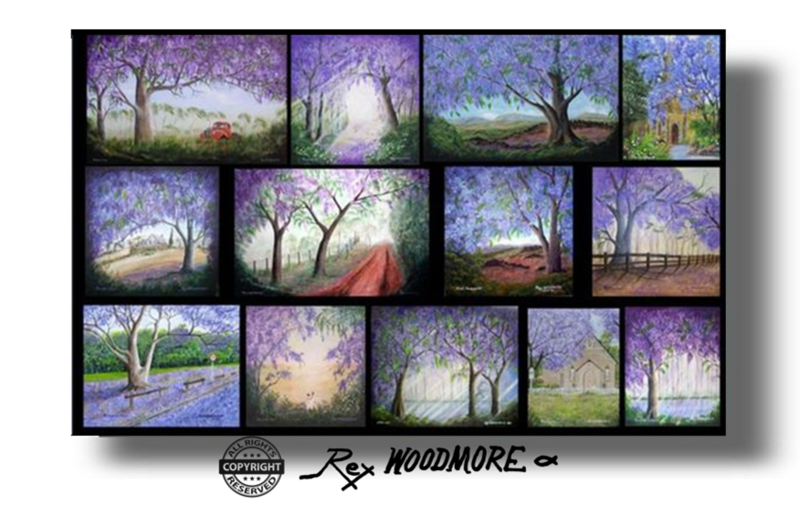 Many people here in Australia & overseas admire my art displayed proudly on their walls. 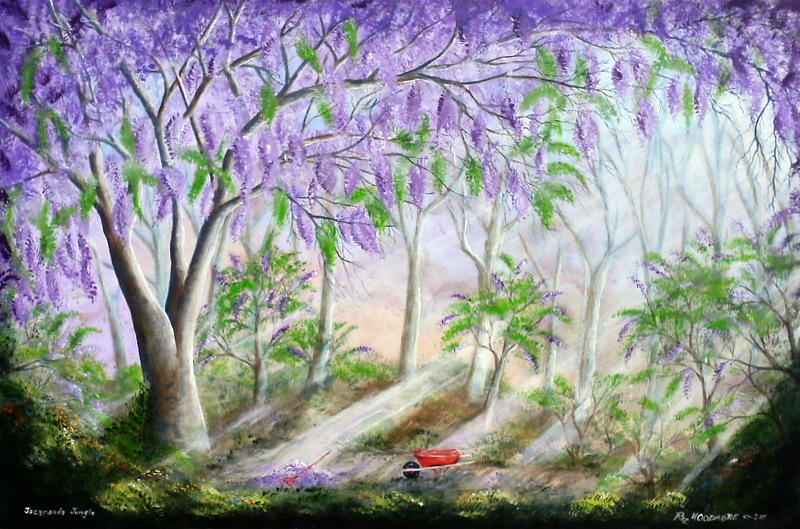 My Jacaranda paintings are featured by UTS University of Technology Sydney (UTS) in a thesis on Jacaranda trees by Anne-Therese King. 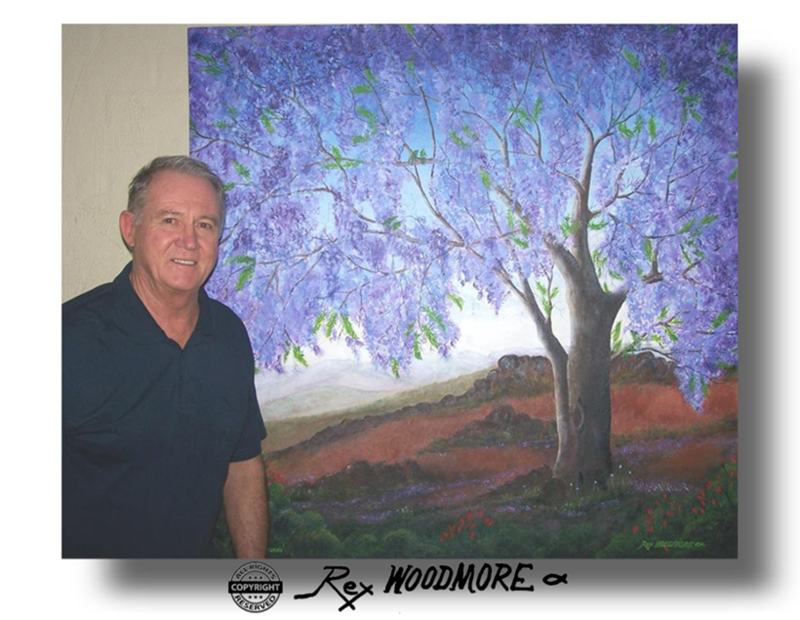 Rex Woodmore & his largest painting. Painted for a lady in California. I wanted to give it to him but I also needed to sell a painting. ​So I suggested he could have it for two dollars. He agreed but as he didn't have any money with him, I lent him a $2 coin which he handed back to me in payment. ‘Great!' Now I could honestly say I had sold a painting. I had images on about 50 online galleries and each was getting about 50 hits per week (2500 hits a week - 130,000 hits per annum around the world!) This showed that some people were interested in my work. 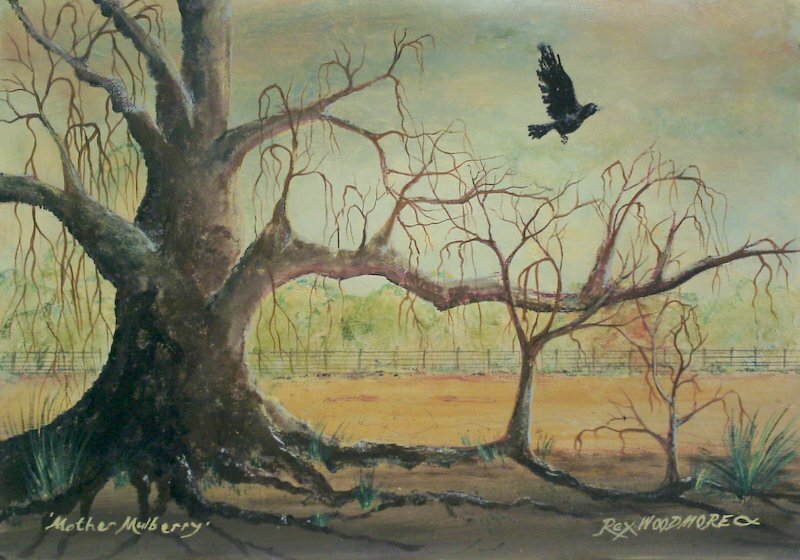 I have moved away from most online galleries & concentrate on promoting my work through my own websites and through Australia's largest art market BlueThumb. I was off to a flying start! 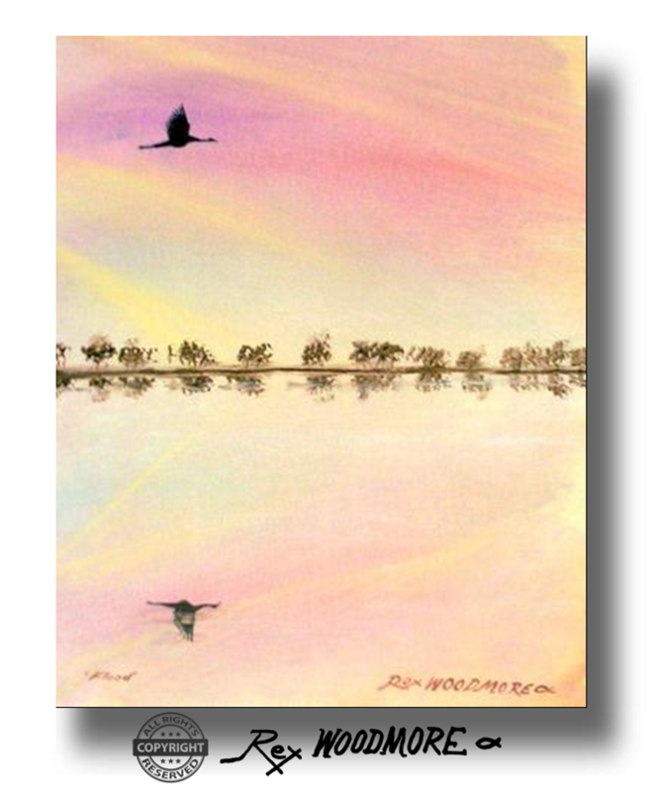 I made a few sales to friends & acquaintances and slowly but surely sales through my websites began. Including to several overseas clients. My production of artworks is ‘’drought or deluge” I tend to paint for about three months, then spend three months on my websites & on other interests. I was coming to the end of an artistic ‘drought’ when I was contacted by the prestigious Italian graphics company Fiordo. They were contracted to Mondadori (Italy’s largest book publisher & the third largest publisher of consumer magazines in France). 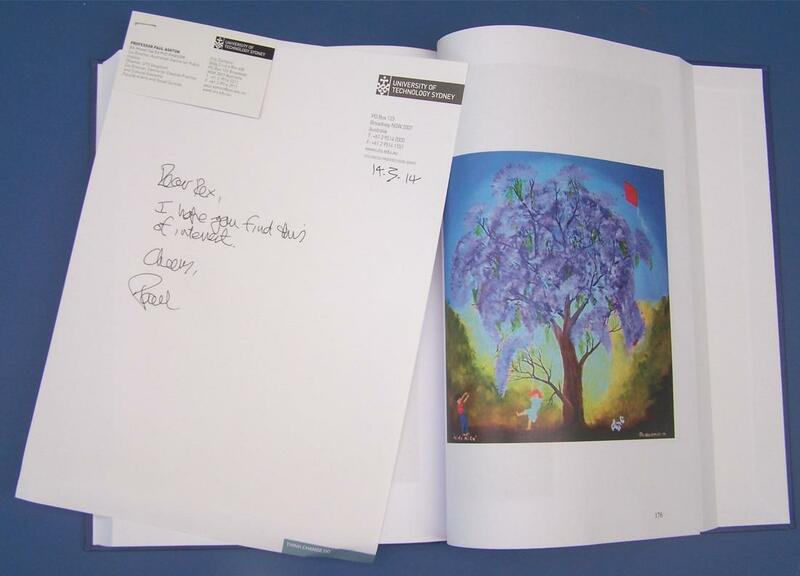 They needed a painting of a Jacaranda tree for the cover of a book and my work on the Internet had been noticed. It was very encouraging to know that out of billions of images on the Internet, they liked my paintings. 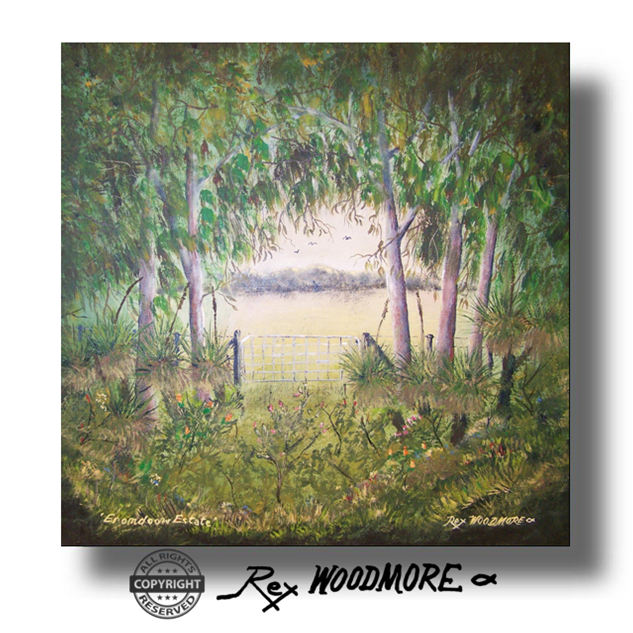 My wife Lyn & I often imagine the rural, bush setting we would like to reside in. We dislike living in suburbia but current circumstances keep us here. Eromdoow is the sort of place I imagine I would like to live in. 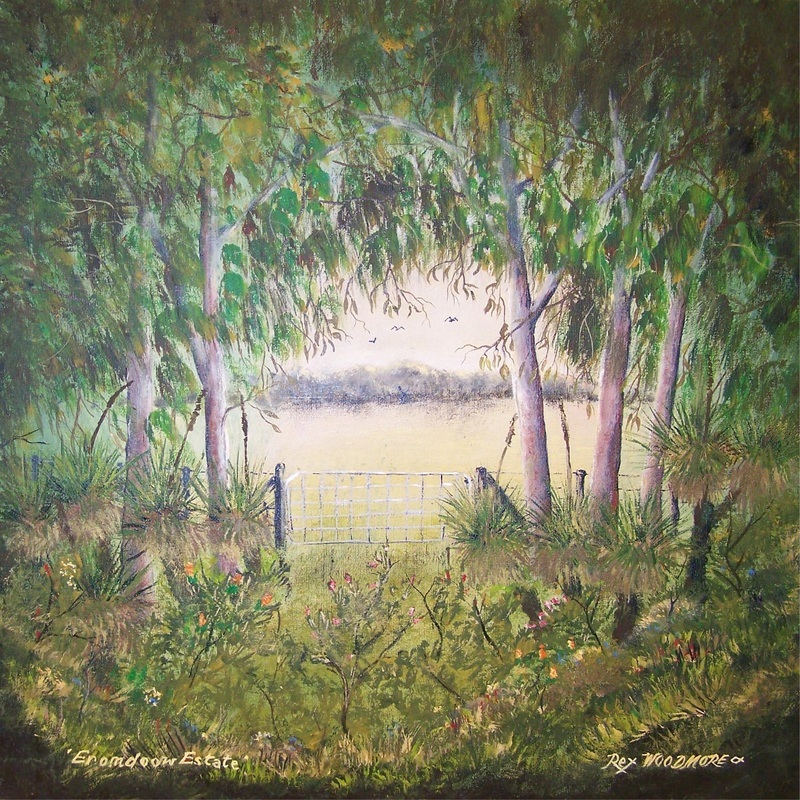 From then on many of my works have depicted scenes of ‘Eromdoow’ in which I allow myself to ignore botanical correctness. In my imaginary, idealistic land of Eromdoow, everything lives in perfect harmony. 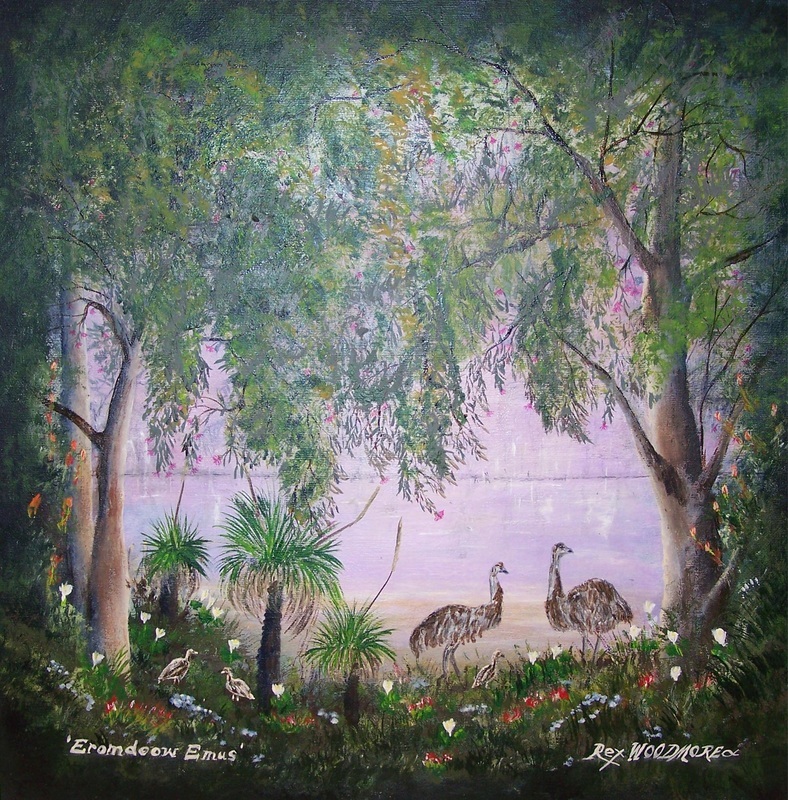 In this tranquil, beautifully balanced, land of biodiversity, my paintings are based on Australian scenes, but if I thought the scene lent itself to the inclusion of an exotic species of fauna or flora, I could find a place for it. 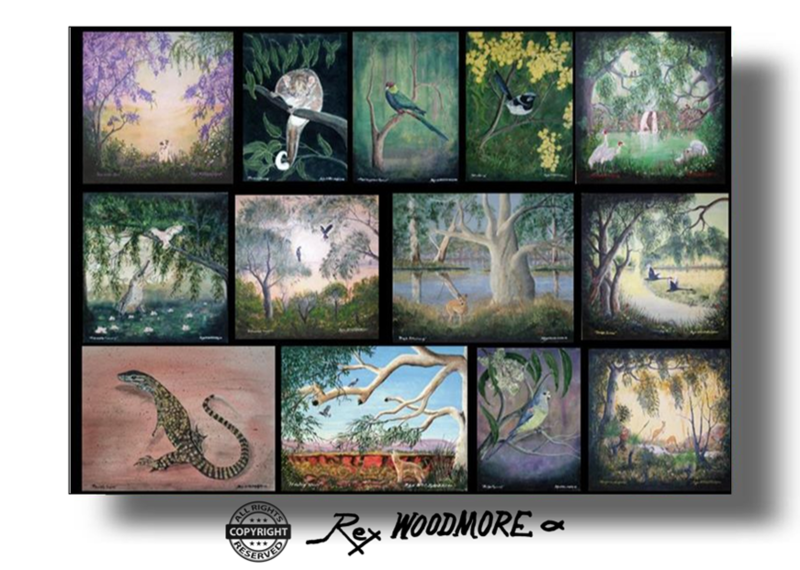 ​Cockatoos, Crows, Galahs, Parrots, Emus, Ducks, Swans, Egrets, Kookaburras, Parakeets, Magpies, Wrens and then there are the reptiles such as Lizards & Crocodiles. 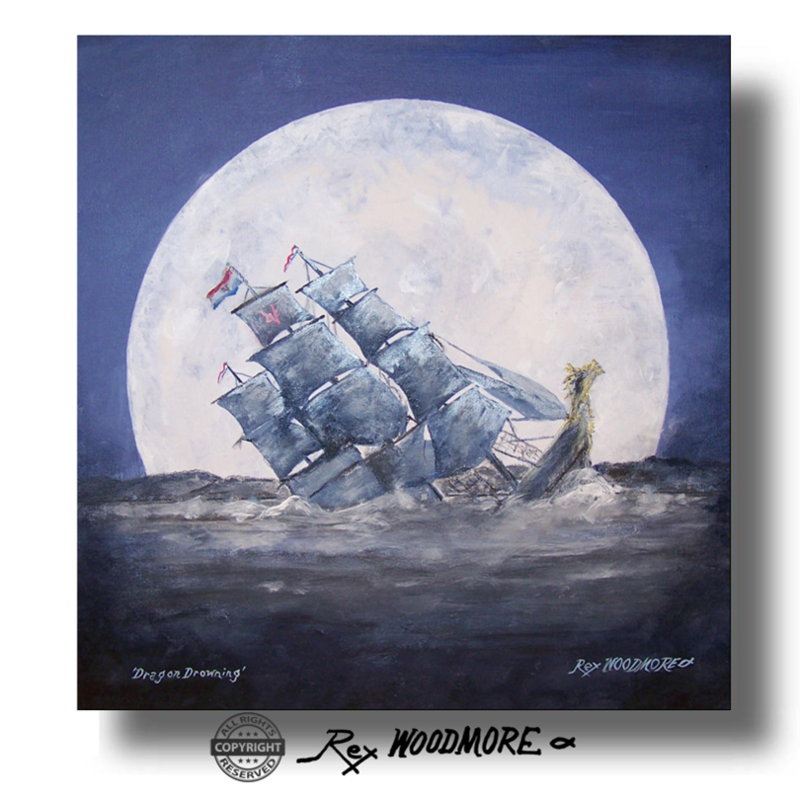 ​Seascape paintings and Underwater scenes. 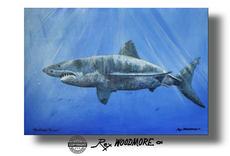 I hope I have developed a degree of skill for realism in my landscapes but also in my images of underwater scenes inspired by my scuba diver days -marine creatures, (Coral, fish, sharks – white pointer, great whites, hammerheads, whale sharks) and shipwrecks. 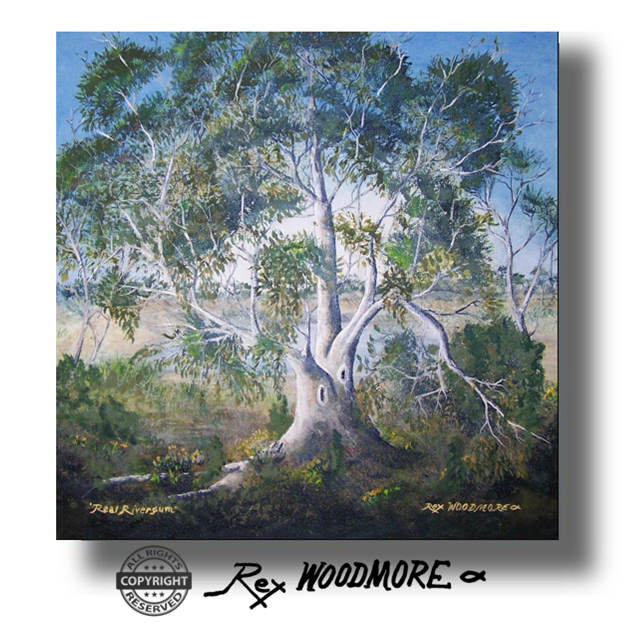 ​​Gum Trees or ‘’Gumtrees’’ Eucalyptus & Corymbia species) are always a favourite in my artworks, as they were in the great works of famous artists like Albert Namatjira (One of Australia's great artists and perhaps the best known Aboriginal painter) and Wilhelm Ernst Hans Franz Heysen who produced beautiful paintings of trees including his well-known watercolour, Guardian of Brachina Gorge, which was finished in 1937 from several drawings made in the early 1930s. 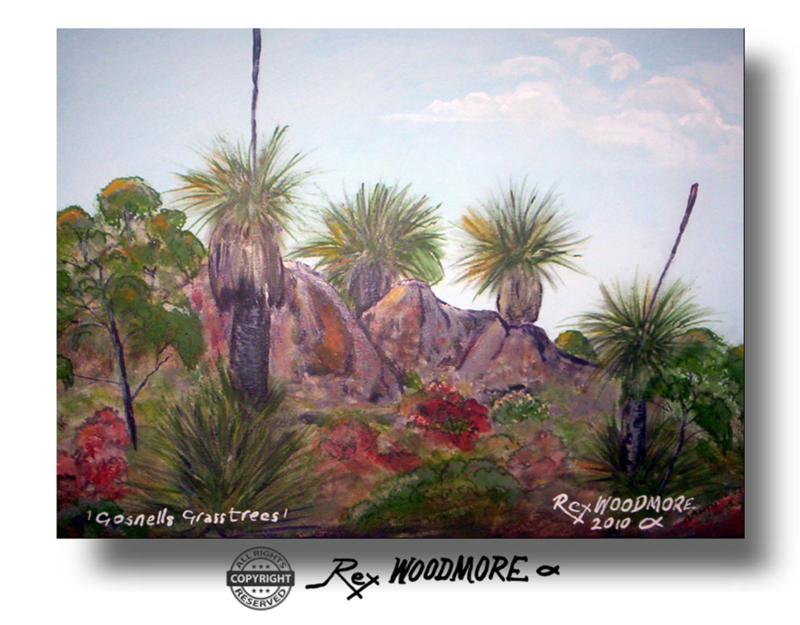 The Australian Grass tree (Xanthorrhoea species) can be seen in the landscape scenes of many of my works. The Xanthorrhoea pressii was at one time called the black boy tree and the Xanthorrhoea kingii was the black gin tree, many older people will remember them simply by the now politically incorrect name of ‘blackboys’. I refer to them as Grass trees. 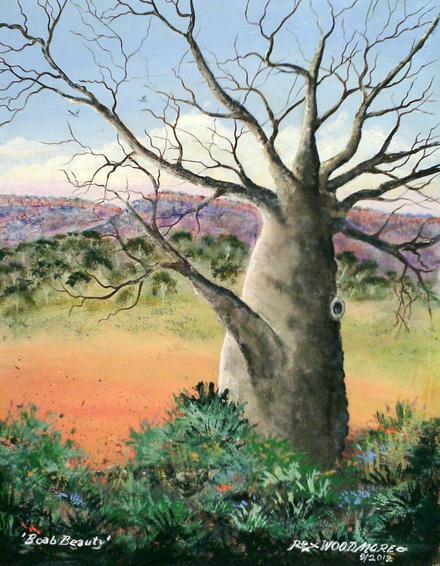 The Boab is similar to the African Baobab trees. Both the Australian Boab and African Baobab trees are Adansonia species. ​The Boab tree, that wonderful, weird, much loved and admired wonderful ‘’upside down tree’’ a wonderful source of bush food (bush tucker) from the Kimberley of Western Australia & some other parts of Australia. 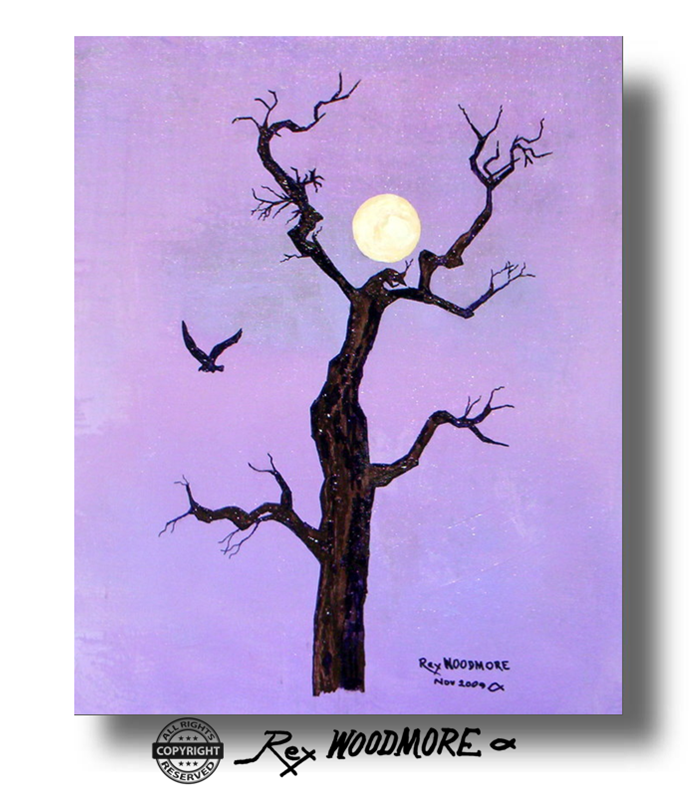 I have painted many of these unique trees that lend themselves so well to an individual’s personal artistic interpretation. ​The common name "boab" is a shortened form of the generic "baobab". Although boab is the most widely recognised common name, Adansonia gregorii has a number of other common names. 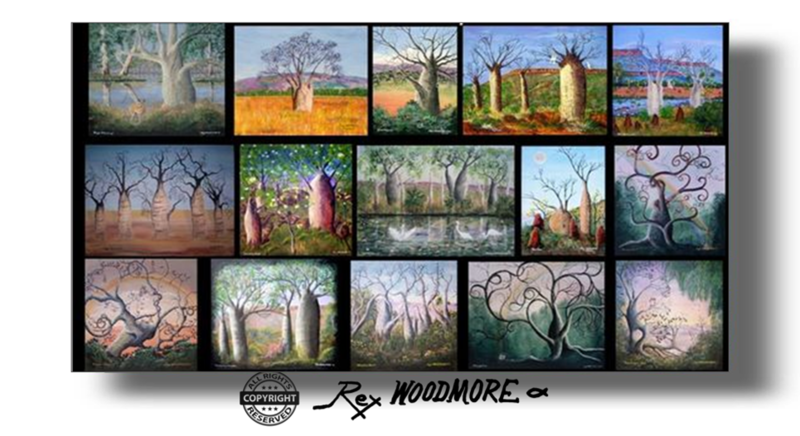 In the late 1850s the name Australian baobab was common & is probably the origin of boab. Other names include: bottle tree, dead rat tree, gouty stem tree, monkey bread tree, cream of tartar tree, gourd-gourd tree, sour gourd, gadawon. ‘The Mulberry Tree’ is the title used for a famous oil painting by Vincent van Gogh. It was completed in Saint-Rémy in October, 1889. It is currently located at Norton Simon Museum. Pasadena, CA.